This weekend saw a series of regional qualifiers to be UK Blitz Champion. 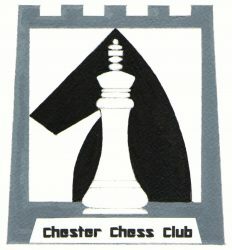 Chester were well represented in the Manchester qualifier held in Bolton with 4 of the 34 players. It would be a lie to say we seriously challenged for one of the two qualifying places. However, notwithstanding the pressures of being designated driver, Colm stormed to a perfect 3/3 start. Despite a slower start Mike overtook the rest of us in the middle of the tournament. 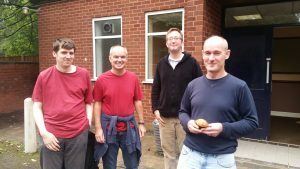 Most impressive was Steve who, playing in a fairly tough open field, was well in contention for one of the grading prizes and played well ahead of his rating. As for your reporter, I had the consolation (?) of a 6 point upfloat in the final 15th round to play runaway winner Joe McPhillips on 13.5/14. Things didn’t end quite so well for him, as trying to defend with rook against rook and pawn he was judged after a little controversy to have placed his rook en prise.